It's the 1st of July and it's time for a new challenge at the Country View Challenges! 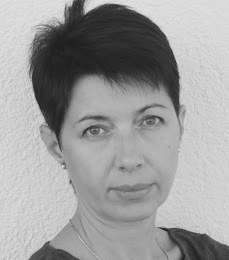 The theme is: In the summer garden. As you can see my summer garden is filled with wildflowers. This is a 13x18cm canvas. 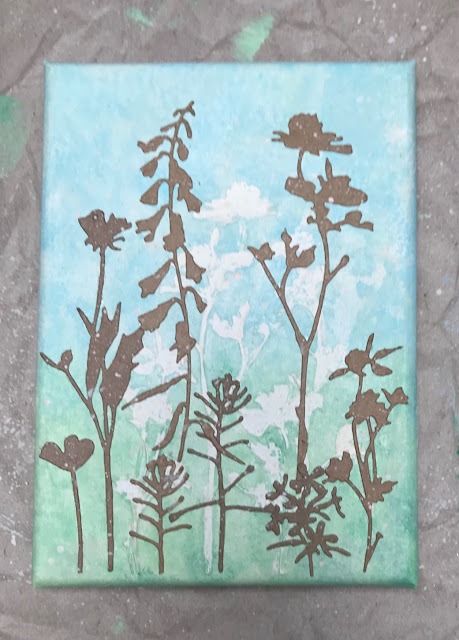 I used Tim Holtz layering stencil (THS035) and I stencilled wildflowers in the middle of the canvas with modelling paste. When it was dry, I covered the wildflowers with Schmincke masking fluid. 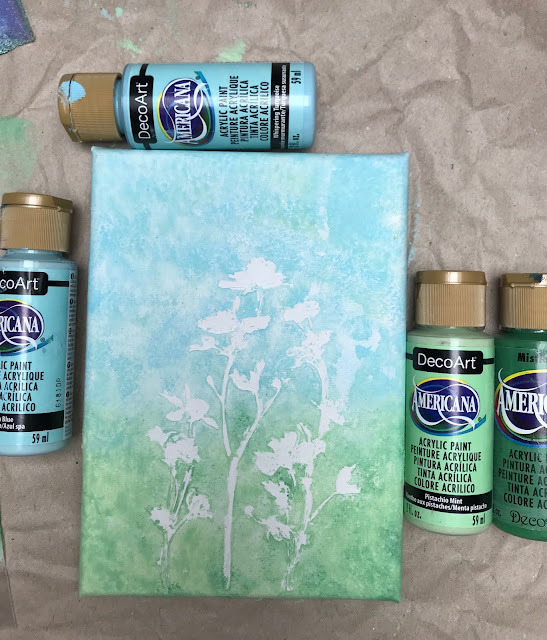 I let it dry and after I painted the canvas with diluted DecoArt Americana paints (Whispering Turquoise, Spa Blue, Mistletoe, Pistachio Mint). Actually, I tapped the diluted paints with a sponge onto the surface. 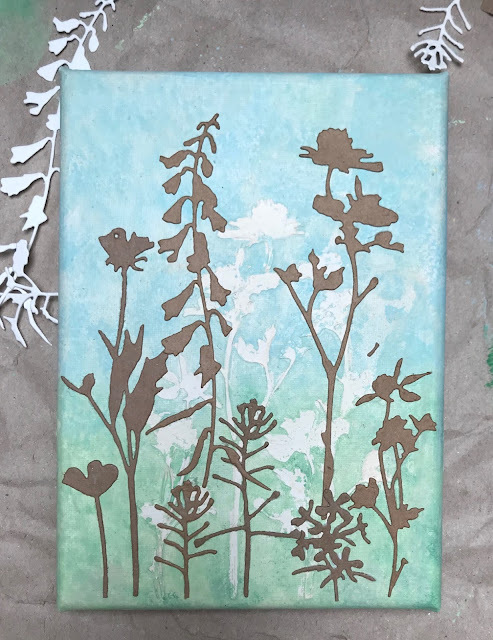 When the paint was dry I rubbed off the paint from the wildflowers with a piece of paper towel. 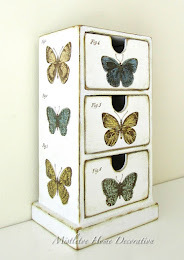 Since the colours were too vivid I toned them back with watered DecoArt Americana Buff Beige paint. 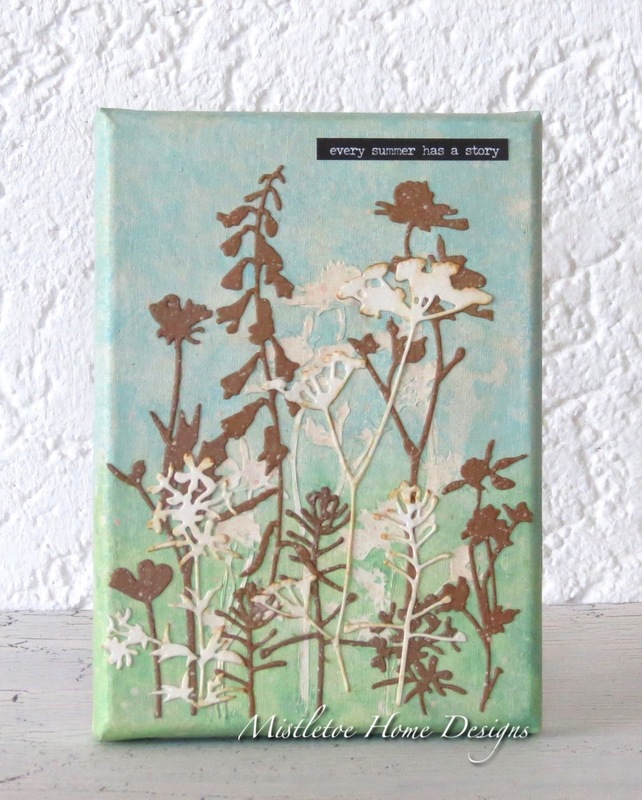 Then I cut out the flowers from thick kraft paper and watercolour paper using Sizzix Thinlits dies (Wildflowers 661190, 661808 sets) by Tim Holtz. Then I spattered the canvas with the Buff Beige and White Wash paints. 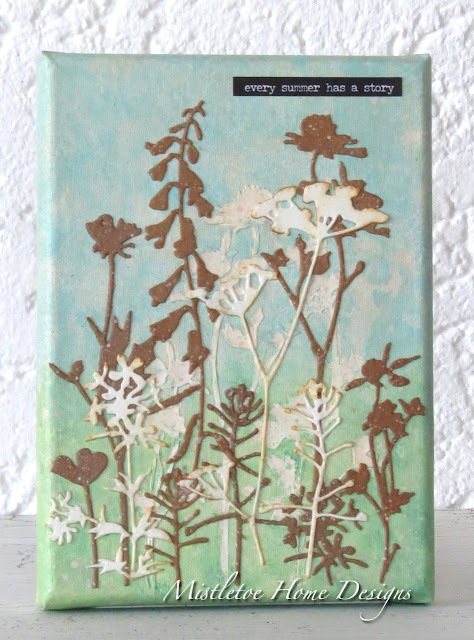 I inked the edges of the white flowers with Vintage Photo Distress ink and then I glued them on the canvas. 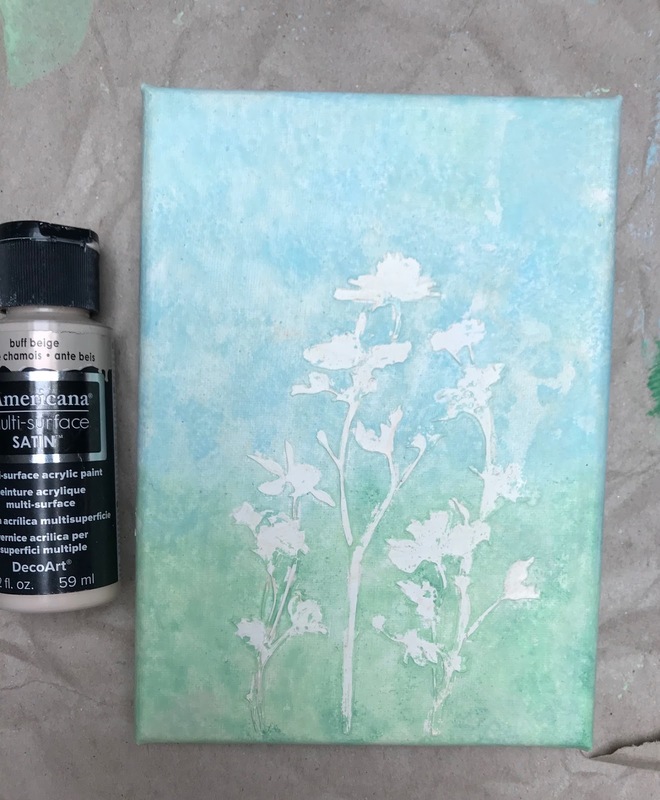 I put a layer of Schmincke Fluid Medium for sealing the canvas then I put a sticker from Tim Holtz Small Talk, Occasion sticker book on the right top. So if you have a summer garden project, please join our challenge where you have the chance to win a £20 voucher. Love the soft colours ! so pretty ! Really pretty colours in this and your stenciled flowers look good even on the first layer. Great challenge subject for this month the garden is going wild with all the sun.